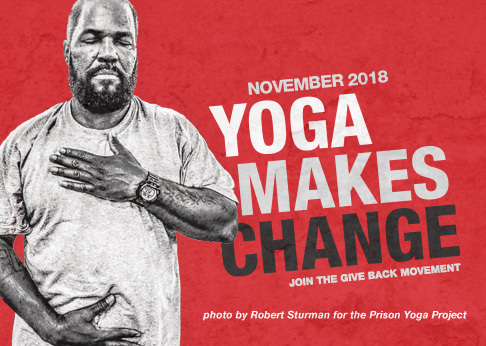 As Executive Assistant, Sophie Miller supports Give Back Yoga Foundation’s Executive Director, Rob Schware, in everything from scheduling and operational support, to visioning and corporate relationships. Sophie began her journey on the mat in 2008 in Madison, Wisconsin, and has been nothing short of headstand-over-heels in love since day one. She moved to Boulder, Colorado in 2011 in order to expand her practice, shift her perspective, and pursue an undergraduate degree in business at the University of Colorado at Boulder. In 2013, she became a Yoga Alliance certified instructor, completing 200- and 30- hour Power Yoga training programs through CorePower Yoga in Boulder. Sophie wholeheartedly believes in the inimitable, transformative physical, spiritual, and emotional benefits that yoga is capable of providing, and is passionate about making yoga accessible to everybody and for every body. Sophie humbly and enthusiastically serves the Give Back Yoga Foundation, as she has found its purpose and vision are reflections of her own. When not practicing or teaching, Sophie can be found running local trails, skiing, and spending time with family and friends, basking in Boulder bliss all the while. On and off the mat, she is constantly seeking alignment in right thought, speech, and action.